Right before game time, No. 1 Tennessee had to make a sudden change to their rotation. 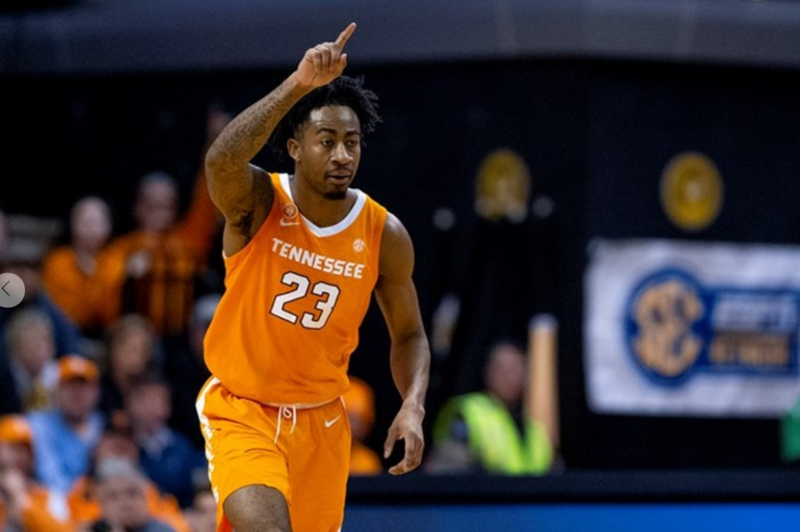 The Vols were set to take on South Carolina on the road on Tuesday night with their full allotment of players ready to go. But then in shootaround, something happened. During Tennessee’s preparations on the court for their match-up with the Gamecocks, redshirt junior guard Jordan Bowden tweaked his knee. Bowden came into Tuesday night’s game averaging 16.2 points per game in SEC play, and he’s been looking like the top candidate for the SEC Sixth Man of the Year award. Suddenly, Tennessee was without their spark plug off the bench heading into a pivotal road game. According to head coach Rick Barnes, the sudden change to the Vols’ rotation caught him and the team off guard initially. With Bowden’s offense (and defense) out of the rotation, the top-ranked Vols needed someone to step up. And luckily for the Vols, multiple players filled Bowden’s void. Starting point guard Jordan Bone had one of his best performances of his career against the Gamecocks, totaling 19 points, nine assists, and five rebounds in 36 minutes. He only had three turnovers and made three of his five three-pointers. Lamonte Turner earned his second-straight start, and he contributed 13 points and three assists on 3-of-6 shooting from three. But it wasn’t just Tennessee’s two starting guards who raised their game. The Vols needed some other bench players to step up with Bowden being out, and UT had a couple players do just that. Derrick Walker played 13 minutes, the second-most he’s played all season, and had three points and three rebounds. Walker was just 1-of-5 from the free throw line, but he had the best plus/minus of any of Tennessee’s bench players with a plus-16. Jalen Johnson played 14 minutes, the most he’s played all season, and made his only field goal he attempted. Tennessee ended up defeating South Carolina 92-70 and ran away with the game in the second half. The Gamecocks closed the gap to just two points when Tre Campbell made three free throws with 13:07 left in the game to cut Tennessee’s lead to just 60-58. From that point on, the Vols slowly drained the life out of South Carolina’s team. The Vols would close the game on a 32-12 run, and South Carolina didn’t score a single point for the final 3:51 of the game. But for No. 1 Tennessee to continue to play their best ball, they need Bowden healthy and contributing on both ends of the court. And Barnes believes this will be the only game Bowden misses because of this minor injury. This isn’t the first time the Vols have played well without one of their key players. Lamonte Turner missed several games early in the season due to his shoulder issue, and Tennessee took down then-No. 1 Gonzaga without Turner on the court. The Vols have also had to close out games without Grant Williams or Kyle Alexander being able to help because they fouled out. Even without Bowden, Tennessee topped 90 points for the seventh time in 20 games this season, and they clamped down defensively on the Gamecocks in the second half. “For us to come in, again, the guys didn’t know Bowden wasn’t going to play either. And they didn’t flinch,” Barnes said. “They said OK, let’s go. We’ve got guys. We’ve had to finish games without Grant, without AD, without Kyle.